Snow falls on a rose. 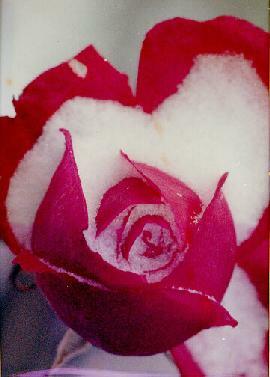 The rose sits still capped with ice and the rose falls slowly. Photograph taken in surprise snow storm Folkestone, Kent, U.K. New Years Day, 1979. Haiku written by my daughter in 1991, when she was in 6th grade.